This has been one of the most eventful, varied and oddly integrated 1.5 months of my life! Had the deep grace to spend time at the Neem Karoli Baba (Maharaj-ji) ashram in Kainchi, Uttarakhand. What an inspiration the NKB bhakti community is, so full of love and devotion. Great gratitude for the blessings that Maharaj-ji and Siddhi Ma bestow. 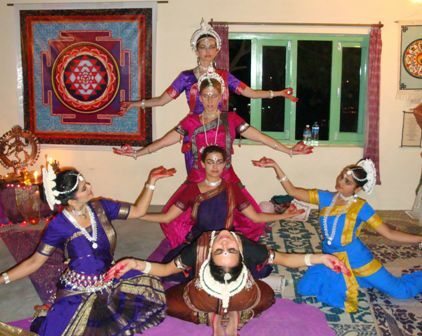 Upon my return to Dharamsala, premiered an original Odissi Temple Dance to Krishna Das' Hanuman Chalisa. Thank you Saroj-ji for composing this moving prayer. 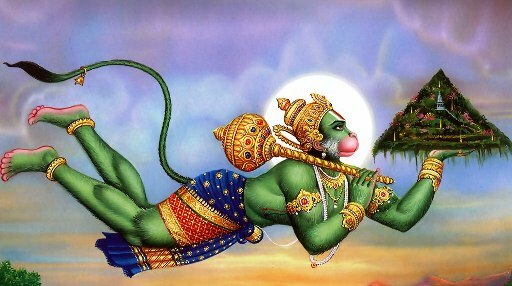 This is by far my most favorite classical prayer dance to share, the symbolic gestures combined with the 40-verse chalisa creating such a subtle yet tangible connection with the noble service, eternal heroism and universal heart of Hanuman-ji. And quite candidly, based on my observations from the audience's (and my inner) response to the dance, it's just so palpable and powerful how the spirit and Divine love of Maharaj-ji pour through every moment of the chalisa through Krishna Das' devotional chanting. After graduating the latest cadre of Dharamsala Agama Yogis on May 19, we launched directly into a gorgeous 5-day Tantra 1 workshop. It was indeed another incredible group energy, also inspired by love, openess and transformation. 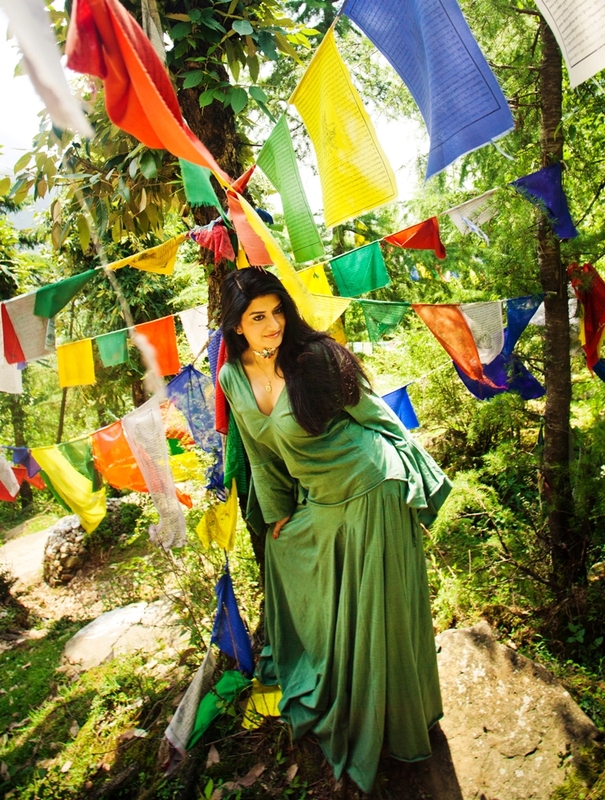 Right after, it was the debut of the Dharamsala Film Festival, May 29-31. One year in the making, what a journey! Enthusiastic viewers from 35 different countries and 6 continents gathered at the Tibetan Institute of Performing Arts to witness some super incredible films exemplifying spirituality and sacred arts. As if this wasn't enough to integrate, without missing a beat, we held a life-changing Tantra 2 workshop, "team-teaching" in a sense with H.H. the 14th Dalai Lama :-). His Holiness held teachings in the morning and afternoon in his temple and Manu and I continued with a bright-eyed, compassionately charged group in the evenings. Definitely something we all wrote home about :-). This was also the time of the full moon, and Venus transit, and everything was so synchronized and a bit mind-blowing down to the last detail of a double rainbow appearing outside of our window before a nyasa ritual incorporating the mantra of Venus. Another cosmic journey! See my facebook entry from June 6 pasted below. With barely a day off we launched the second cycle of the one month Agama Yoga intensive. On summer solstice, had the rare treat to meet with the real-life super-heroine Jetsunma Tenzin Palmo, Tibetan Buddhist nun extraordinaire ... thrilling plans for a festival focusing on women's spirituality has been officially conceived, to be birthed during next year's summer solstice. Amazing. Today a tribe of beautiful, effervescent Shaktis have gathered with me to dance our Dakini-Devi energy alive in a 6-day workshop, with a special highlight of creating a sacred dance ritual in honor of H.H. 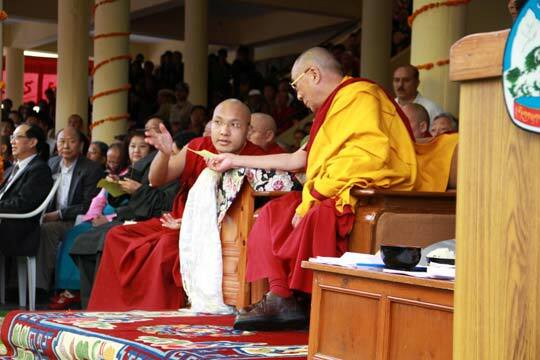 the 17th Karmapa's birthday on June 26. Anything else? Am in the very last-minute midst of getting up to speed for our second Odissi classical temple dance offering this season. Am supposed to dance 4 items -- an opening prayer to Ganesha, a dynamic rendition of the ego-cutting impact of Kali Ma, a reprise of the devotional dance to the Hanuman Chalisa and finally, Moksha, the dance of surrender and liberation. Overflowing with the "blessings" of a busy life, I bow to existence!!! What a Divine dance this all really is. June 6, 2012 Facebook posting: Such synchronized phenomenal~phenomena happening in the Himalayas! MOONDAY: launched the Tantra 2 intensive under the peak of the full moon with a sublimely balanced group: 16 Shivas and 16 Shaktis (16, the number of perfection and of Tripura Sundari, the “tantric Aphrodite” and moon Goddess … together, 32 united in complete male-female harmony.) TUESDAY: A magnificent DOUBLE rainbow manifests outside of our window! Then ushered in the transit of Venus with a nyasa ceremony incorporating the mantra of Venus. Beautifully cosmic!!! WEDNESDAY: Height of Venus’ transit further celebrated with a women’s jade egg circle and then the men joining us for a powerful ritual honoring the Divine Feminine. 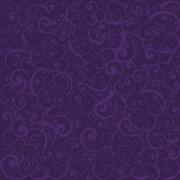 THURSDAY - SATURDAY: mornings and afternoons full of grace with teachings from H.H. 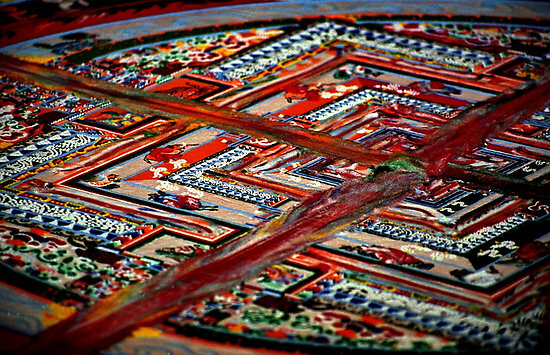 the 14th Dalai Lama in his McLeod Ganj temple followed by more Tantra 2 explorations in the evenings with us in Bhagsu. Great gratitude for this Venusian love~light and beaming bountiful blessings! The most luminous full moon of the year proved to be an inspiring time for so many. Here in Dharamsala, we had the rare priviledge of witnessing the Kalachakra puja ceremonies at the Dalai Lama's temple in Mcleod Ganj. Incredible invocations abounded and there was even intricate Tibetan mask dance performed by a troupe of monks to charge the sand mandala. This full moon also marked Buddha Purnima, and it was so auspicious to receive blessings directly from H.H. the 17th Karmapa, followed by a fire ceremony at the family temple by our yoga hall under the radiant glory of Ma Chandra. Blessed be the glowing light of Ma! We have also begun our sixth season of Agama Yoga Dharamsala ... thanks to friends old and new who have already passed by in our first two weeks. Well ... ONCE AGAIN! I have proven I am definitely not the PR Queen! Almost 2 years since I have written here. Truly, not because there hasn't been exciting, mystical news to share. On the contrary, everthing seems to have continued to blossom in its own rapid, organic way, yet the extra time to update this website has been extremely rare. Seems I rely on the clear, lucid mountain air to reconnect with the power of communication. Luckily, I have now navigated the basics of Facebook, and it is through this social network that you can find me more regularly, under Monika Nataraj. As it's not feasible nor valuable to even attempt to catch up with 2 years of whirlwind activities and deep discoveries ... I'll remain in the only place I can be -- the present! ... and at this moment I send love to the amazing beings I have had the deep honor to share the joy of Dancing the Divine into existence. In the grace of the moment! May all beings be happy. May all beings be free. On Saturday. Manu and I wrapped up our fourth year and best ever yoga - tantra - dance season here in the stunning Himalayas of India. We were blessed with packed-full courses, enthusiastic students overflowing with aspiration, and lots of grace in so many forms from the Goddess. Pranam to all who joined us...may we continue to be divinely connected in this web of life. This season we ran two Level 1 Agama one month intensive cycles, plus the Level 2 and 3 intensives, and both the Tantra 1 and Tantra 2 workshops. Phew! The hall was buzzing! This was the first time that the Agama Tantra 2 teachings were ever shared in the mother land of tantra -- India -- so it was a big moment for us all! The courses were also at our space capacity, an encouraging sign that this work will continue to ripple strongly through many people's lives. The feedback from the groups was phenomenal...deep transformation and profound heart-opening was the common thread. Beautiful. As far as dance, well, it was also a fantastic season! I began my time in India in April participating in a two-week Gurdjieff Sacred Dance Movements intensive taught by the wonderful dynamic duo Amiyo and Chetan. Consciousness and presence dancing. I love this work and am grateful to have the opportunity to continue to deepen my experiences in the Gurdjieff way, communing with the Self through conscious movement. Nartak/Marco then led a Sacred Dance workshop for us at the Agama center. It was so inspiring to see the hippy-backpacker community light up with the Gurdjieff dances! But that's not all on the dance end. Of course the Mystical Belly Dance classes continued 3-days per week and each session seemed like every beautiful Goddess from Bhagsu found her way into the circle. We dove deep into the shamanic trance and blessing dances this season and even held the first ever Sufi Whirling night. We spun in ecstasy to my favorite Sufi music by beloved Sufi Master Oruc. I am counting the days to whirl again to his live music in Turkey in August. Yea!!! Shiva-Shakti Belly Dance again graced our halls four times. It was full-power fire, man, can those Shivas can shimmy! I also continued my Odissi Temple Dance training with Saroj-ji. Last summer I may have set a new record for the oldest person to learn both Mangalacharan and Sthai in just 3 weeks. Then this season I surrendered in totality to learn Shiva Tandava and Mokshya in a month admist everything else going on (that's all the time there was, so no choice but to be on the fast path :-) ... my knees were not happy but my soul couldn't stop shining in delight for this initiation into such a strong devotional dance form. We even managed to perform two times within a month -- double-whammy Temple Offerings in the Agama Temple! It was a sacred experience to be among a group of special women manifesting the energy of the Deva Dasis. Jai Ma! Shiva Shambo! Now that our high season in Dharamsala has concluded, it hasn't really slowed down. Just saw Dalai Lama (and the Karmapa!) on Dalai Lama's birthday (how surreal and auspicious that these two giants of Tibetan Buddhism "live in the neighborhood".) Manu and I attended a two-day Crystal Healing course with lovely Usha (am addicted to amethyst now) and I am currently researching Tibetan Sacred Buddhist Dance. Life is beautiful. And full! is not rising to your feet painlessly like a whirl of dust blown about by the wind.